MPF includes several unit test classes which you can use to write tests which test MPF or to write tests for your own game. 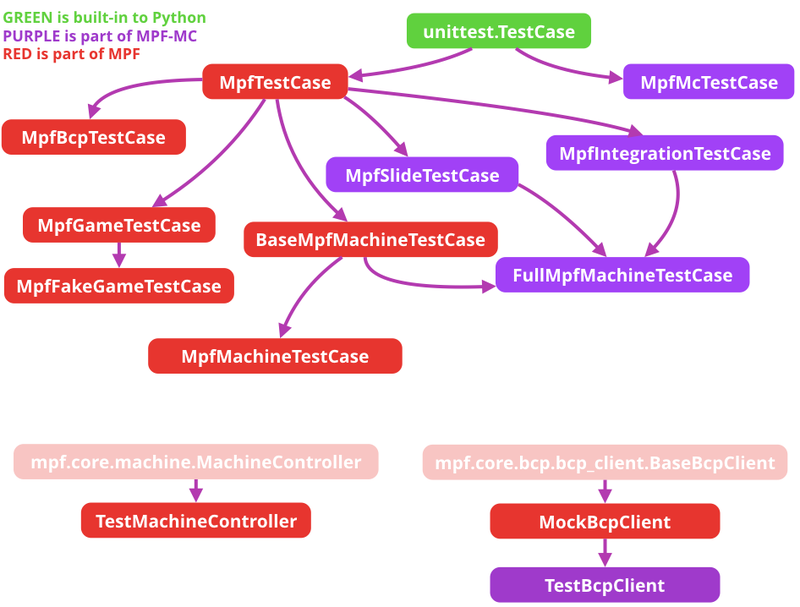 These tests include several MPF-specific assertion methods for things like modes, players, balls, device states, etc., as well as logic which advances the time and mocks the BCP and hardware connections. You can add commands in your tests to “advance” the time which the MPF tests can test quickly, so you can test a complete 3-minute game play session in a few hundred milliseconds of real world time.